There are certain moments in our lives that should really be pivotal. High school graduation is one of those moments and I am happy to incorporate our most recent review of graduation supplies from HomeschoolDiploma.com. Central to this will be our daughter’s diploma which was custom designed using the many options afforded when purchasing their Exclusive High School Diploma. High school graduation is one of those pivotal moments. A time when we know it is hugely significant and shouldn’t just be simply another day in our child’s life without recognition. It is a time of providing a blessing of passage into the next phase of her life. We will graduating our second child this year. A common thread that I have seen so far is that no matter how well prepared our children are or how much confidence we have in them, these kids are scared. They are scared of having to do life on their own. They are scared about whether they are “enough” – smart enough to learn material in college, dedicated enough to accomplish their dreams, and well, just enough…. It is also a recognition for you, Mom and Dad, for the devotion of so much to bring your child to this point. Every family will choice how to celebrate. 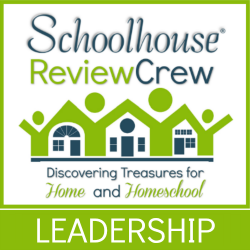 We are fortunate to be a part of a homeschool cooperative. Although our daughter will be the only one to graduate this year, the entire group will gather with friends and family on a special evening culminating her journey to this point and praying over her as she heads out into her future. As the director of our homeschool group, one of the first questions that I receive from parents new to homeschooling is, “But can I give my child a high school diploma?”. The answer is yes to both of those questions that seem like one. Yes, you are capable and have the right legally to provide your child with a legitimate high school diploma. And yes, you can actually obtain a real high school diploma to her upon fulfillment of her high school requirements. We have recently had the opportunity to review an assortment of products from HomeschoolDiploma.com that we will be using as part of our daughter’s high school graduation in just a few weeks. Michaela will be wearing a full cap, gown, and tassel for her graduation. These can all be purchased through the company with a choice of color and the year of graduation. Other items available are announcements, thank you cards, class rings, and lots of other fun goodies to put a splash of flare and fun into the event. Michaela is so appreciative of each person that will be attending her graduation that she specifically wanted to order Thank You cards to send to those that attend. We were thrilled with the quality and she felt extra special when they came in with her name beautifully scrolled across the front. The diploma is in a padded cover like those that many high school graduates will receive from their public and private schools. We love that we are able to personalize even high school graduation as the culmination of our homeschool journey, but our daughter is thrilled to get a “real” diploma like many of her peers that are not home educated. Before I close, it is important to note that HomeschoolDiploma.com also has graduation supplies for your kindergarten and eighth grade graduate as well. As always, I encourage you to check out the other reviews done by the other bloggers on the Review Crew who are also preparing for their children’s graduation using supplies and diplomas from HomeschoolDiploma.com.